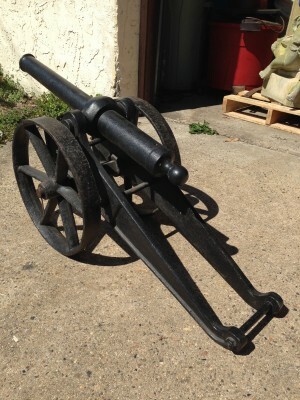 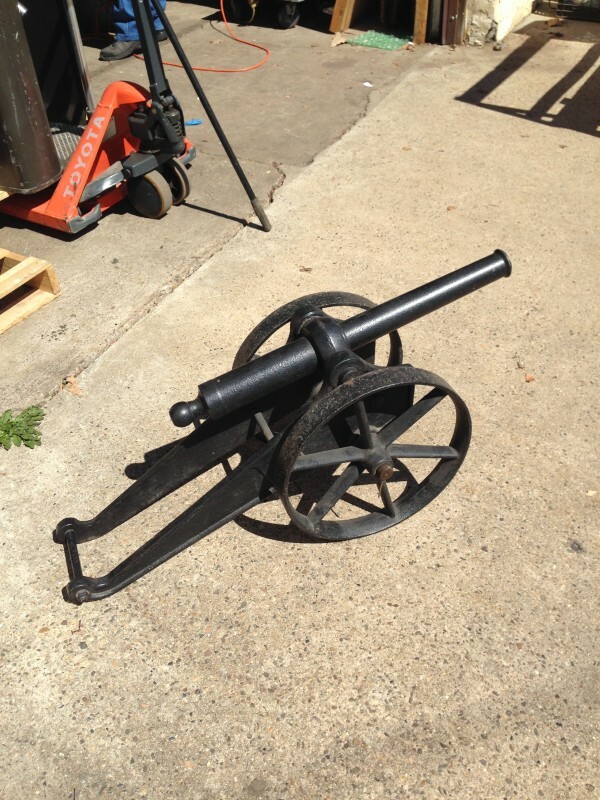 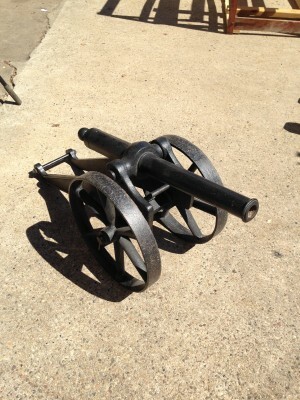 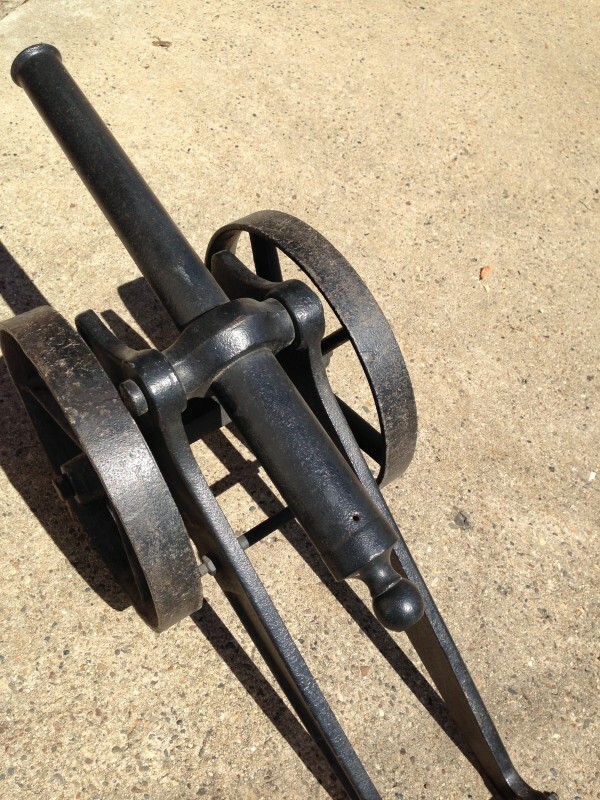 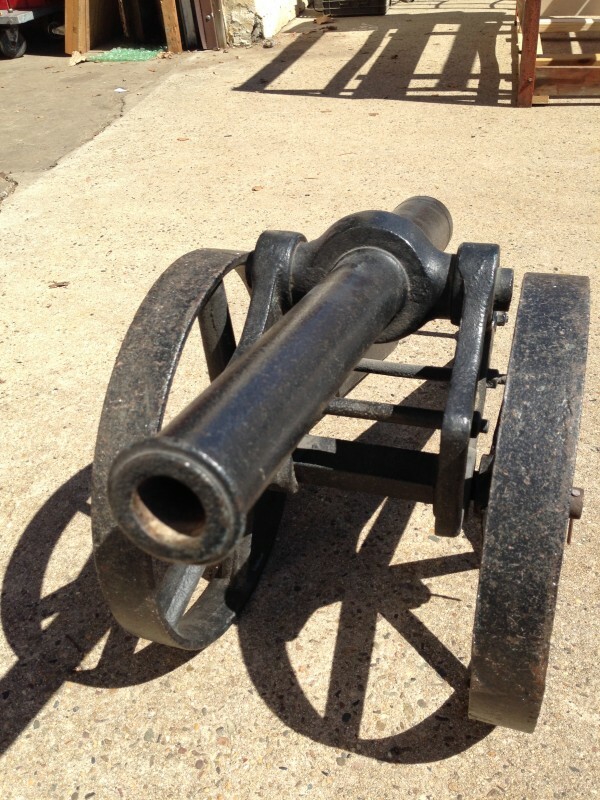 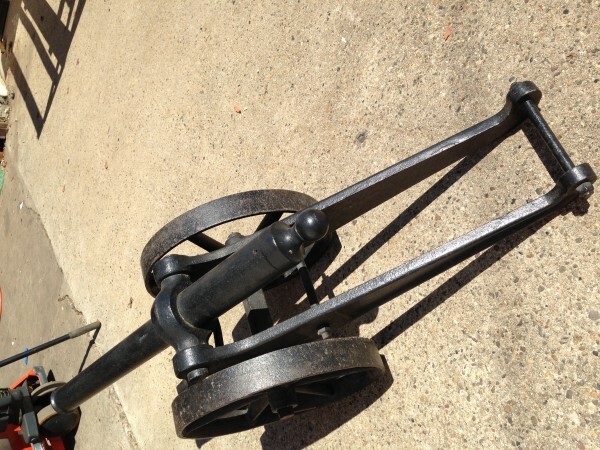 Cast iron vintage antique French cannon in as found condition. 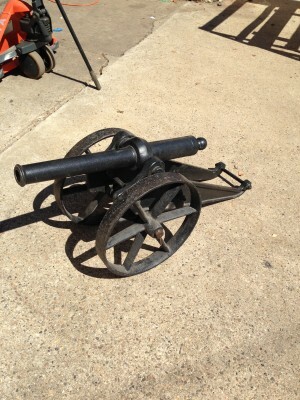 Last used at a picnic along the Delaware River to celebrate July 4th many years ago. Nice original with grerat patina. 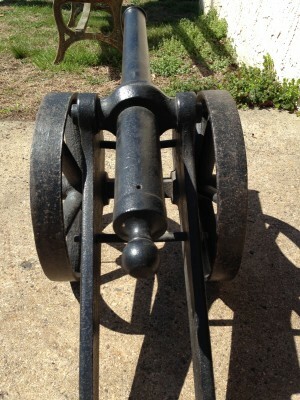 Measures about 4′ long. Have fun………….